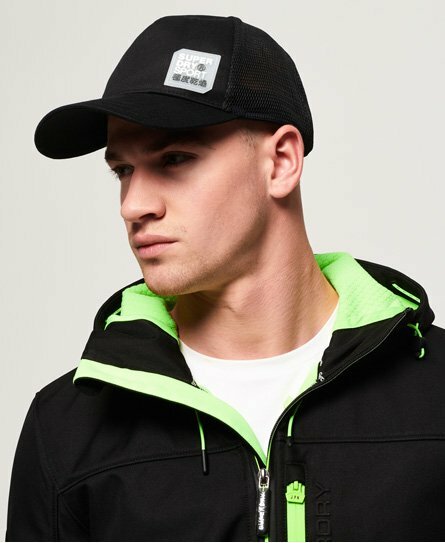 Superdry men’s Sports trucker cap. Whatever’s going on with the weather outside, we’ve got the men’s hats to match. Keep a focused head whilst working out this season wearing this sports trucker, it features a mesh back for breathability, a Superdry sport badge on the front and a rear snap fastening for comfortability.